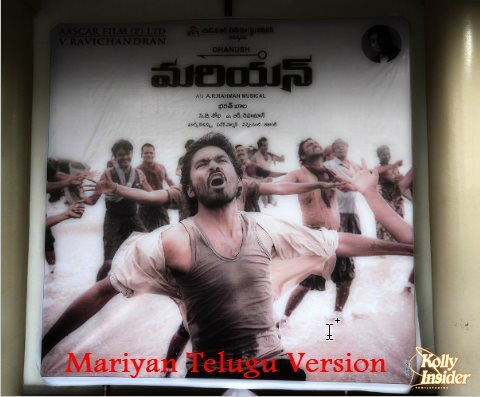 Dhanush's Mariyan to release in Telugu! Home » Bharath Bala | Dhanush | Mariyaan | Tollywood » Dhanush's Mariyan to release in Telugu! After his recently released Velai Illa Pattathari has got universal acceptance even from Telugu audiences for Raghuvaran B.Tech, Dhanush's Mariyan is getting ready to hit the screens some time soon. Bharath Bala of Vande Mataram fame has directed this Tamil drama under Vishwanathan Ravichandran production. AR Rahman's music is one of the highlights of this Dhanush starrer. Parvathy Nair has paired opposite Dhanush in this Aascar Films production movie. Makers have recently released Mariyan Telugu teasers and are yet to announce the release date. Meanwhile, Dhanush's KV Anand directed Anegan is all set for February 13th release.